him gettin a divorced and moving away from home. his lost my gain, its a preety fast truck. 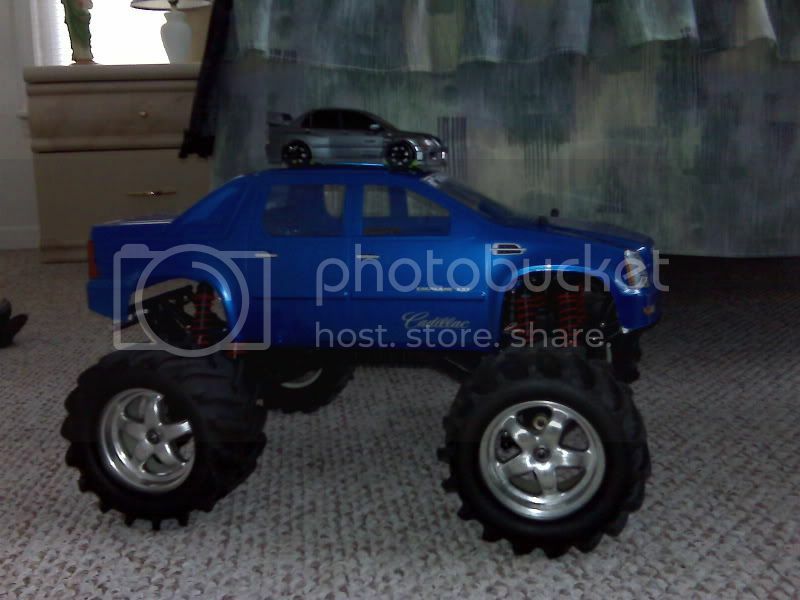 the only thing ived done to it since i got it was the blue fuel lines and a body which i painted, it was my first time painting an rc body so its not perfect but its still came out fairly good. 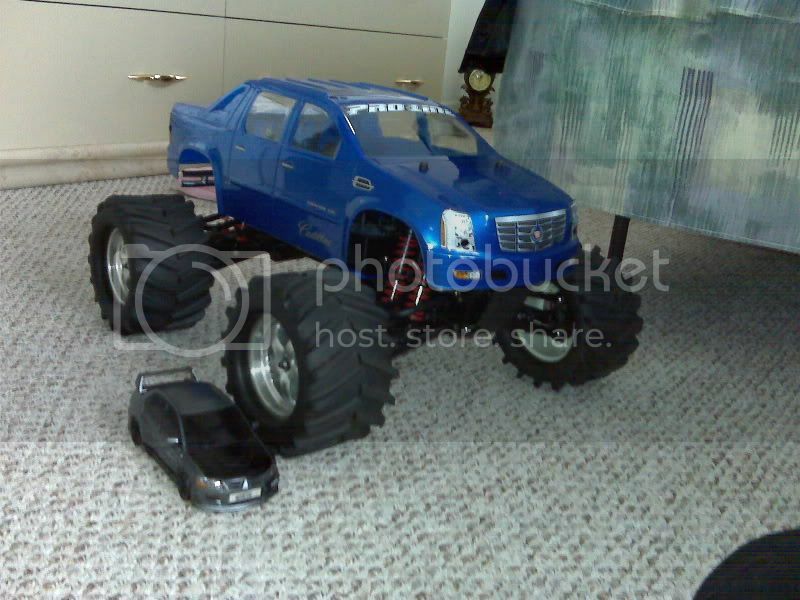 After I save up some cash, I'll be getting a T-Maxx 3.3. It will be my first nitro ever! I can't wait to get it. Is that a 2.5 or a 3.3? 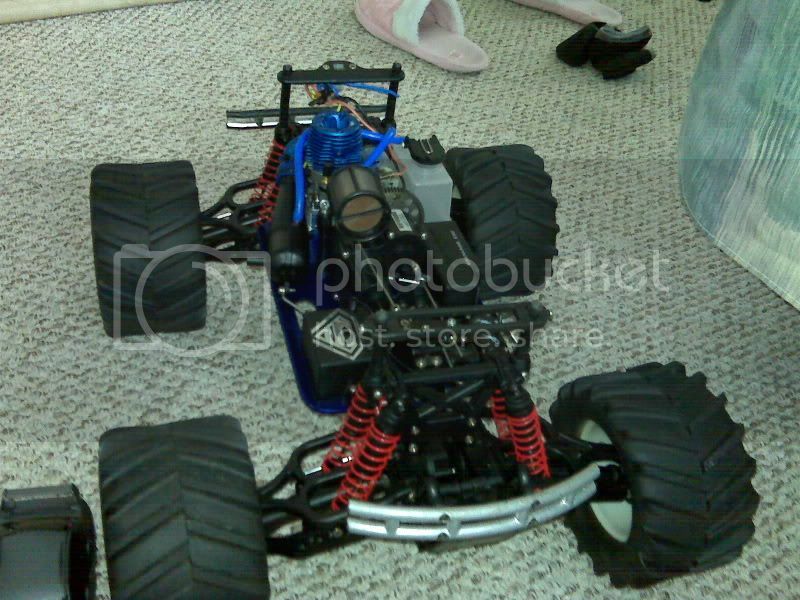 its a 2.5 but in a month it would have the 3.3 motor cause im doing that traxxas engine warranty. i envy you so much i always wanted a nitro but never had money but lucky you getting such a great deal on a t-maxx.plus everything still looks new (probably is ) unless you cleaned it very well. OOH it needs a VTAACCCKKK and NAWWZZZ. it aint new but looks like it before i bought it from ma friend he had put in new tires and shocks but i managed to clean everything by taking it all apart and he was impressed by the way it looked. cause wen he sold it to me it was preety dirty. ohh okay if i need any parts in the future best believe im gon ask u first to c if u can sell me some. That is one awesome deal, dude! Have fun with it! Nice find man, I have a 3.3 Revo and love it. yeah its a preety fun truck to drive and fast! i see to tires mounted backwards . It sure is clean! For parts, Clint will treat you right, he has more cars and parts than most hobby shops! I was going to do the traxxas warranty at one time but it's quite expensive and for that money you could buy a different, better motor. That's a sweet deal you got there. Hopefully by the summer I should have and O.S. 18CV-R(S) for my Nitro Stampede. 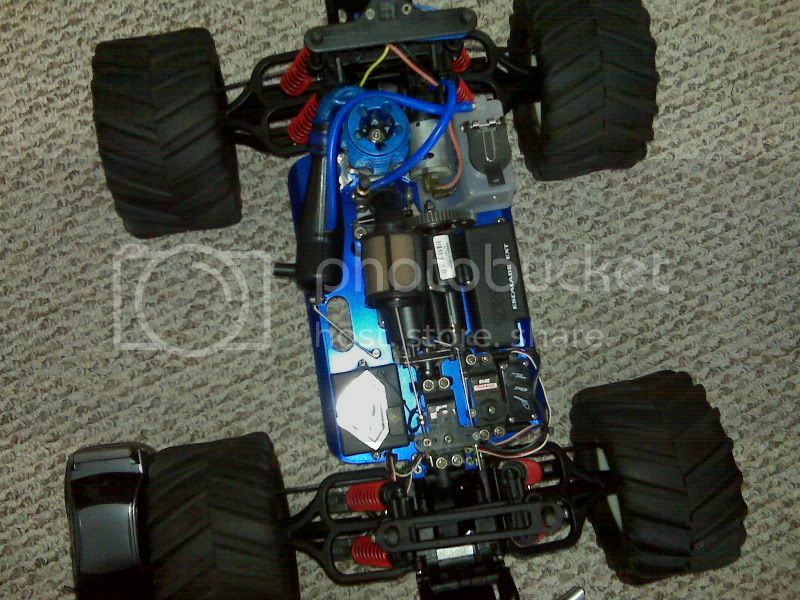 I like the Traxxas engines but they seem to lack some power. The warranty just isn't worth it imo and I like the way the O.S. Engines handle in other trucks I've driven. Very quick and good top end. Just be careful of the bulkheads they are fairly weak on the Maxx. Oh and make sure you painted the inside of the body with lexan paint not the outside.